Austin, Texas -based Malauzai Software Inc., a provider of mobile and Internet banking SmartApps for community financial institutions, was founded in 2009 in response to the growing demand in the marketplace for innovative mobile solutions. 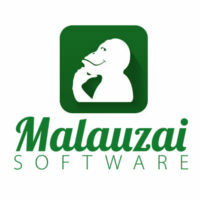 Malauzai began working with William Mills Agency to establish the company as a leading authority and expert in the financial services industry and relay the importance of having a seamlessly integrated mobile banking SmartApp solution that is end-user focused. William Mills Agency created a comprehensive public relations plan that emphasized Malauzai’s strategic goals and objectives. WMA worked closely with Malauzai’s CEO and founders to create provocative and intriguing messaging to attract new prospects and raise awareness for the company’s unique brand. WMA crafted press releases, opinion pieces, bylined articles and award submissions, as well as produced customer success stories. The agency team also assisted Malauzai in developing a social media strategy and forging relationships with members of the media leveraging sites such as Twitter. Malauzai has received huge returns based on their investment with WMA. Media results garnered from the PR plan helped to reinforce their brand and acquire significant leads for new customers. These efforts have also ensured Malauzai executives are the go-to source for reporters covering a range of mobile related topics. Overall, the relationship helped differentiate the company’s unique approach to mobile banking from more traditional offerings and positioned the Malauzai team as leading authorities in the industry.